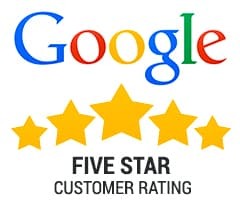 Loyal Patron enjoys a PERFECT Google 5 Star Review from our very own clients who know we've got their back when they need assistance with round the clock customer support. We have supported over 1,000 stores and restaurant locations across the USA, Canada and Puerto Rico since 2005. Can't say enough good things about Loyal Patron! The rewards program is fantastic for our business, our customers love it!! The Loyal Patron team is so accessible, and always ready to help with questions and ways to implement programs for our customers! Lauren was very quick to respond and fix my issues with logging into my families accounts. Thanks so much! We just started using this company and all I can say is that they have been therefore every question with a qualifying answer that satisfies our needs. If things had to be changed it was done faster than we could imagine. This is a great company and we are really pleased with our decision to start working with them. We look forward to a long-term relationship with them and to also profit from there great service. Excellent service and lightning fast responses to my questions! If your not using them.... you should be. Top notch service. DOES WHAT OUR CUSTOMERS SAY CONVINCE YOU? Call now at (800) 978-1338 to schedule a demo! Loyal Patron has helped me increase sales by over 20 percent . The attention to the specific details pertaining to my industry are unmatched. The personal service I get with any question is immediate and thorough. I highly recommend any business to use this service. We were looking a reward program that was powerful and dynamic. We were used to the ones that came with our POS and basic plugins that came with website. After the demo with Jodi, we were blown away. We might be looking into the subscription model in the near future. Adam is someone I could work with, and the tech support was always there if our team needed support. I couldn't ask for anything less to scale my business. I do have to say it's a program you must work with them and train your team to follow the steps to success 10X. Great service and a boost to businesses deploying their technology. They are consistently committed to R & D, improving on existing services, and creating great new ones!